Colleagues from across Whitehall met on Monday 21 March to celebrate the UN International Day for the Elimination of Racial Discrimination. The event was a fully subscribed affair, featuring keynote speakers sharing different perspectives and points of interest about the movement to eradicate racial racial discrimination and how it has developed over the years. 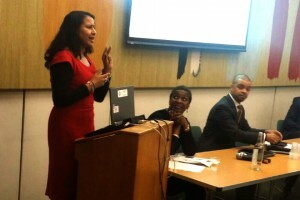 Dr Iyiola Solanke, from the University of Leeds, provided the historical context for the UK’s position, illustrating her comments with a ‘Matrix of Racial Violence and Anti-discrimination Law’. The matrix gives an insight into legislative developments from the Race Relations Act 1965, up to the amendment in 2000, which accommodated significant changes. Dr Solanke highlighted that while changes in the law have been progressive, there is still much to do to tackle racial discrimination and related behaviours across the spectrum in terms of ‘direct discrimination’, ‘indirect discrimination’, and ‘institutional racism’. This was followed by a presentation by Dr Michael Pearce of the University of Exeter. He gave an alternative perspective on how perceptions of race in the film, TV and theatre industries have been shaped since the 1930s. Since then, he said, there has been a transformation in racial diversity in the performing arts, from an industry that was anecdotally referred to as "lacking, non-existent, not worthy", to one that is now moving into a "boom time for black theatre". This was followed by a free-flowing, open conversation with Sarah Guerra, Engagement lead at HMRC, and Rob Neil, Ministry of Justice. It focused on how diversity can add richness to institutions and aid the development of much-needed awareness of the contribution of different cultures across the entire workforce. Richard Heaton, Civil Service Race Champion, spoke about recent encouraging developments in the Civil Service, particularly around accountability for progress on diversity and inclusion among senior leaders. While he said they were more prepared to have potentially uncomfortable conversations about diversity issues, he wanted to see more people from outside the BAME communities coming along to events like this one and taking part in the debate. Richard Heaton joined Andy Heyn, Head of Diversity and Inclusion in the Cabinet Office, and the other keynote speakers in a panel discussion of questions from the audience on topics including, talent and positive action programmes, intersectionality, and the challenge of tackling the lack of BAME representation at senior leadership level across the Civil Service. 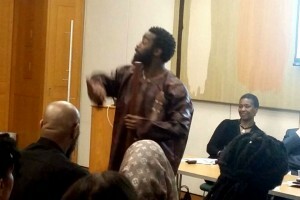 The audience were also treated to a performance by a special guest, rapper and poet Alim Kamara, who told a traditional African story about resilience and determination. The whole audience were propelled to their feet in a unison chant of ‘Shake it off and step up’ – a timely reminder that we all have a responsibility to shake off misconceptions and prejudices about race and step up to the challenge of eliminating this pernicious form of discrimination. We pride ourselves in the Civil Service of being one of the most inclusive employers yet despite the numbers, non-white staff are heavily discriminated against and denied promotions (hence our poor socio economic status and are inability to change our narrative). 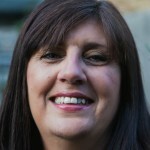 Despite being highly competent, qualified with a first class degree and a Masters in the field that I work in and contributing to high profile projects in my role, when the opportunity risen to replace my current line manager (who had no qualification on the job and learnt every piece of work she present to the Board from me) it was given to a white male with some experience in the field but not with the basic competencies and specific skills required to perform at the level. Albeit, I have been asked, casually, to set some time aside to train him in doing an integral part of the job, analysis. Need I mention that this job was handed over to him on a plate; he did not even apply rather he was “managed moved” and when I asked why it wasn’t advertised I was told that HR Exec felt that was best to manage move someone into the position. But why manage move someone I now have to train who the organisation has to train on the basics at a cost? What about the talent action plan, whose talent do we nurture? Why promote individuals that we are comfortable with instead of people who are competent regardless of the colour of their skin? Our race champion Richard Heaton has a huge task in hand in riding such toxic cultures from within his ministry, let alone the Civil Service. Sad to hear but yes the Civil Service is RACIST, I said that because if you cannot give me any constructive reason why I’m denied a job but only because I missed-spelt someone’s name on an email then i can’t help but feel discriminated again. Bet my story is not unique. Just I was typing this, a Deputy Director came by and asked my counter-signing manager for important information on the area I work which she was unable to answer and asked me which I have resolved! I have this to look forward to with my new line manager. What can one do? I am afraid after reading the above I can understand why you were not given the job. Unfortunately if you are dealing with higher management they would at least expect your grammar to be up to speed. Having the right background, training and qualifications is just a small part of what is required in most jobs. If you cannot express yourself in a clear and concise way then you are failing at the first hurdle. It is like completing application forms. If you do not use the right phrases your examples count for nothing. As a female in the department I have also come across major discrimination in my time being told that 'You will not get promoted as you can not be relied on as you have a child and another on the way'. Drastic improvements have been made over the years in the department and you should examine your shortfalls and address them first before trying to blame things on what you believe to be racism within HMRC. Outstanding comment from AJ but sadly not unusual. I don't expect change any time soon either because there is no real incentive for anyone in power to change, and a whole back slapping industry has grown up around talking about "action plans" that lead to no action. Don't even get me started on the nonsense of branding criminality, for which there are already powers to combat breaches, "modern day slavery". I can (personally) work around or deal with misconceptions and prejudices if I encounter them, although I recognise that may not be so able. It's unfair processes that I take issue with, and, statistically, since its introduction, PMR has consistently shown itself to be detrimental to some groups, including BME. Making senior leaders accountable for equality outcomes might help , but reform of our HR processes is within the gift of the Cabinet Office. It would be great if it stepped up and shook it off. Despite the poor attendance from Senior non BAME Staff [a point that I have already made in response to two other Civil Service blogs] I thought that it was a fantastic event and I would like to say a big thank you to Iris for her significant contribution to the Civil Service Diversity Agenda. Even my colleague from FCOS Services HR Team who attended the event with me said that she had found it extremely informative. In response to AJ. I have been with the organisation 25 years and I feel that it should be acknowledged that a lot of work has been done to improve diversity across the office for ALL. The Talent Action Plan report does highglight that there is still a number of areas in which the Civil Service needs to step up to the plate but to I am not sure that I would support your claim that the orgainisation is simply RACIST or that there is toxic culture! AJ, Rhonda's comments are valid, you really do need to create better formed sentences. Without full knowledge of the events you describe it is difficult to draw a conclusion but, if you are as you describe i.e. "highly competent, qualified with a first class degree etc. ", it is very possible that your poor syntax got in the way of promotion. All this is not to say that prejudice in all its ugly guises does not exist within the Civil Service. But, most of my working life has been spent in the private sector so I feel qualified to say that the Service should be proud of its progress to date and, it seems to me, is fully aware of what still needs to be done. "I feel qualified to say that the Service should be proud of its progress to date and, it seems to me, is fully aware of what still needs to be done." "The statistical analysis of the 2014-15 Performance Management ratings data across 17 Departments has shown there are statistically significant differences in performance outcomes based on gender, age, grade and working patterns and, particularly, in relation to disability and ethnicity. This report has analysed the nature of these statistical relationships to identify the potential discriminatory nature of these outcomes. Furthermore, it has illustrated how these outcomes are consistent with a series of research findings based upon performance-related appraisal systems, and consistent with policy concerns and the limited research into this area within the UK Civil Service. Finally, it has highlighted a number of important developments relating to organisational structure, job content and industrial relations in the civil service, as well as the wider political discourse, and observed how this may act to embed and facilitate these discriminatory outcomes." I don't see the Civil Service as a racist ( or any other "ist") institution. Its policies and objectives are, on the face of it, fair and its leaders have given us a clear commitment that they want to turn things around. But if no material action is taken, in the light of such evidence, to reform our HR procedures, and soon, then effectively it will be. My views concur with AJ. Comments on syntax distract from reality of potential discrimination, which I have experienced during 28 years in the Civil Service. I would say that ‘bias’ rather than ‘racism’ is the problem faced by ethnic minorities. Let's not be in denial that the problem exists, for which even the Senior Civil Service admits from ethnic monitoring data. Whilst progression has improved for some, that seems attributable to conformity not diversity. Senior managers tend to promote ethnic minority staff for whom they feel most comfortable. Those sharing similar social backgrounds to themselves, thus perpetuating the clique. The least successful ethnic minorities often possess other disadvantageous characteristics that have no bearing on their capability. Such traits include differences in accent, upbringing, social class, lifestyle, religion and so forth. AJ went on to critique processes on recruitment and promotion that run counter to 'fair and open' competition. 'Managed Moves' are not transparent and should at least be reviewed for equality proofing to prevent nepotism. Another is 'Expressions of Interest', as a means of appointment, where standard rules on recruitment do not apply. The ability to network with senior managers in the art of self-promotion is paramount. One should not under-estimate career-critical decisions taken informally by 'in-groups'. This can occur behind the scenes beyond official channels in coffee shops and other meeting places. Finally, poor grammar is emphatically not a bar to progression. I regularly see dubious drafting from colleagues more senior than myself. Sometimes double standards apply. Errors by favoured staff can be ignored as inexperience, whilst those from marginalised staff are amplified out of proportion, for use as evidence of poor performance. Beyond the cliques, this heightens one’s risk of being down marked to Box 3. I can't argue with that JC, sums up some of the comments I've heard over the last decade or so quite nicely. .May I add that the current obsession with "behaviours" rather than hard data ( individual output , experience and the value added to the business) gives room for these biases to flourish. JC comment is spot on and I would like to see the Civil Services offer JC a place on a board that could really make a difference for junior grades like myself who I feel are treated in the way that JC mentions. If the civil service really is interested in equality and diversity the I commend JC to them and beg them to give him a place on a board that can be created to deal with the issues JC and AJ mention. JC is an historian and his knowledge of ethnic subjects would enhance not only the civil service but would give junior staff like me a real voice instead of departmental Networks who do not speak for people like us but are created to tick boxes. I ask that this comment be taken seriously. By far the greatest cause of discontent is Performance Management. Annual data, 'People Surveys' and Civil Service Race Forum events continually highlight racial disadvantage, due to enforced markings and far lower ratings in comparison to white staff. Yet this issue is off-limits for proper discussion. All Departments claim that they have no power to change it. How can racial discrimination be adequately addressed, when its core problem is ignored? Finally, I whilst applauding the use of 'blind' applications for jobs on the Civil Service website, Departments can easily avoid that and other anti-bias measures quite easily. Processes such as 'Managed Moves' and 'Expressions of Interest' are two examples. I've frequently raised these with senior managers, despite discouragement that I desist from doing so. Therefore, the Civil Service is not always a safe environment for which to raise such concerns.